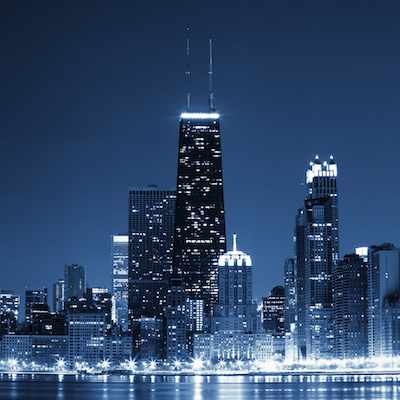 NATS Conference attendees wanting to get their 2016 Chicago experience off to a great start might consider signing up for one of the event’s Pre-Conference Workshops. The 54th NATS National Conference will boast four Pre-Conference Workshops, all taking place on Friday, July 8, from 9 a.m. to 1 p.m. The workshops will span the gamut of topics of interest to attendees – from a visit to Chicago’s famed Lyric Opera to a trio of workshops featuring panels that will address pop/rock vocals; the aging voice; and the training of singers and teachers of singing. Take home ideas that they can scale to their local setting. Pop/Rock Vocalism for the Music Theater Singer: Presented by Sheri Sanders, Melissa Cross and Mary Saunders-Barton, this workshop will enable attendees to get in the trenches and increase their skill in finding the perfect auditions cuts for pop/rock auditions plus healthy approaches to singing rock “in the key of screaming.” Watch the process as singers cover the right cuts for them, and take home new skills and processes that will serve students. The Aging Voice: An all-star panel of experts featuring Brenda Smith, Michael Johns, Aaron Johnson, Peggy Baroody and Amy Nabors will help attendees with their own aging voice -- as well as the teaching of those who want to remain active singers in solo or choral settings as they age. Leave with practical and applicable knowledge for your setting, plus discover the latest research available on the aging voice. The Training of the Singer and the Teacher – Charting a Course for the Future: This panel, featuring Allen Henderson, Scott McCoy and others, will examine how we can train today’s singers and teachers of singing, and also shape the education of tomorrow’s teachers. In preparation for this workshop, attendees will be presented several position papers to read and prepare in advance. Registrants for the 2016 NATS National Conference can add tickets for the Pre-Conference Workshops during the registration process. The fee is $50 per ticket.